The Governor’s Conservation Achievement Award Winners Have Been Announced! 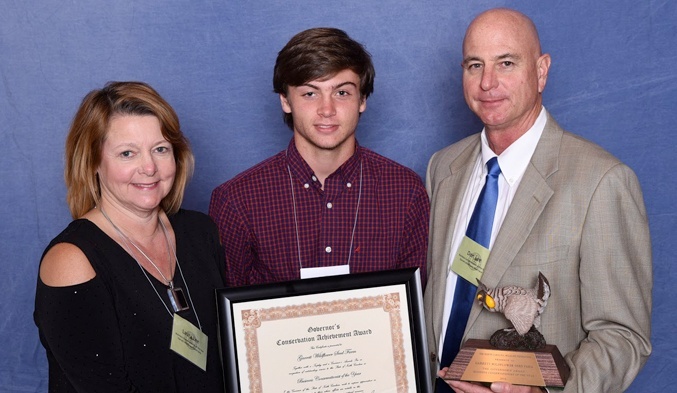 The North Carolina Wildlife Federation has announced the winners of the 54th Annual Governor’s Conservation Achievement Awards and Garrett Wildflower Seed Farm was honored to be named Business Conservationist of the Year! This year’s winners are exceedingly notable conservation devotees who work for wildlife from elk to amphibians to fish and marine resources. They are water quality advocates, land stewardship champions and leaders in the preservation of unique ecosystems. The award winners include agency professionals, elected officials, academia, non-profit leaders and organizations rising to the challenge. These prestigious awards are the highest natural resource honors given in the state. By recognizing, publicizing, and honoring these conservation leaders—young and old, professional and volunteer—the North Carolina Wildlife Federation hopes to inspire all North Carolinians to take a more active role in protecting the natural resources of our state. Read more and see the Full List of Winners here.